So two year olds are their own breed, right? 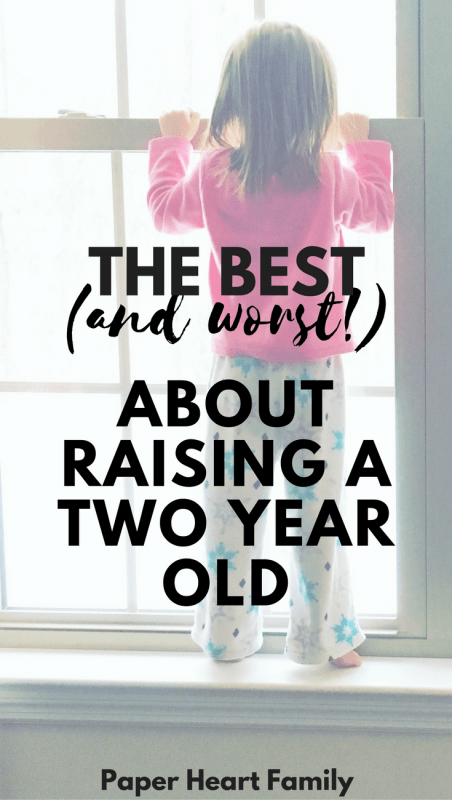 Raising a two year old can be mentally (and physically) exhausting. I mean, they didn’t get coined the “terrible twos” for nothing. But humor me for just a second. Two year olds, though frustrating and crazy and difficult, can be pretty awesome too. I want this post to help you to see the light at the end of the dark, tantrum-filled tunnel. Because 2 year olds can be the sweetest, and they can help us look at life through rose-colored glasses. I spoke with some other moms who gave me their input. And this is the best and the worst about parenting 2 year olds. Let’s get the worst out of the way. If your child will soon be turning two, this is what you can expect. Two year olds are smart. But sometimes, they don’t have the vocabulary necessary to express their needs or their wants. I always feel horrible when I don’t understand my 2 year old, because it makes her very frustrated. This lack of understanding can then lead to high frustration levels, which can lead to other problems like tantrums. Just the other day, my daughter was asking for a snack. Seems like a reasonable request, right? I said, “Sure. Say ‘please’ and I’ll give you a snack.” She looked at me again and said, “Snack.” I repeated my earlier statement and her response to still not receiving a snack was, “Snack now, Mommy!” in a louder voice. I got down to eye level and said, “Yes, as soon as you say ‘please’.” That was the last straw with her. She proceeded to scream “snack” as loudly as she could, take her little plastic chair from beside us, and throw it across the room. Oh the power struggles. Toddlers want control. Of everything. And when they don’t get their way, watch out! The best thing that you can do it to organize your home in a way that allows your toddler to do things by herself. However, we moms are busy. There are so many times when I just don’t have the time to let my toddler pick her outfit. Or rinse out her bowl. Or do the many other things that she must do during the day. Pair the power struggles with potty training and picky eating and you’ll probably be ready for some wine by 5pm. Maybe sooner. My daughter has started sliding off of her chair, the bed, etc whenever she wants my attention, saying “me fallin’”. She’s totally in control, I’m just along for the ride. Think about this: if any other age group acted the way that toddlers acted, it would probably merit admittance into the insane asylum. If you haven’t checked out this video If Adults Acted Like Toddlers from Kristina Kuzmic, do it. Now. It shows what I’m talking about perfectly. My toddler can’t eat things that are “cracked” and she always wants whoever is not there to put on her clothes or brush her teeth. I hear the phrase “ME DO IT” about 364 times a day. And I just have to walk away, or into the pantry for some chocolate. The best is when your child insists on doing something that is absolutely impossible for her to do. Like the time that my daughter insisted on swimming by herself. I know you’ll be shocked to hear that she can’t swim. Yeah, fun times. Okay, so now that you know what makes two year olds challenging, let’s be reminded that they are also really, really awesome. A 2 year old’s vocabulary is exploding, and they are learning how to use words to be funny, sweet and sassy. My 2 year old currently adds “mister” to the end of everyone’s name (daddy mister, mommy mister), she told my husband that she’ll love him “next week” and she even cracks jokes and laughs at herself. Two year olds are so super adorable because they don’t get embarrassed. They dance like no one’s watching. They can do the simplest thing and it will just be so stinkin’ cute. They say what’s on their mind and love fiercely. There is nothing better than the first unsolicited “I love you”. I also remember when my oldest spilled her pears on her chair. Without missing a beat she said “and there were three little pears, sitting on chairs”. If you’ve ever read Goodnight, Moon (like 5,936 times like I have) that line is probably forever burned into your brain. What I want to know is not why do they get excited about everything, but why do we stop being excited about everything? We can definitely learn a thing or two from our toddlers about how to stop and smell the roses once and a while. What do you love and loathe about age 2? Ohhhhh, two years old. 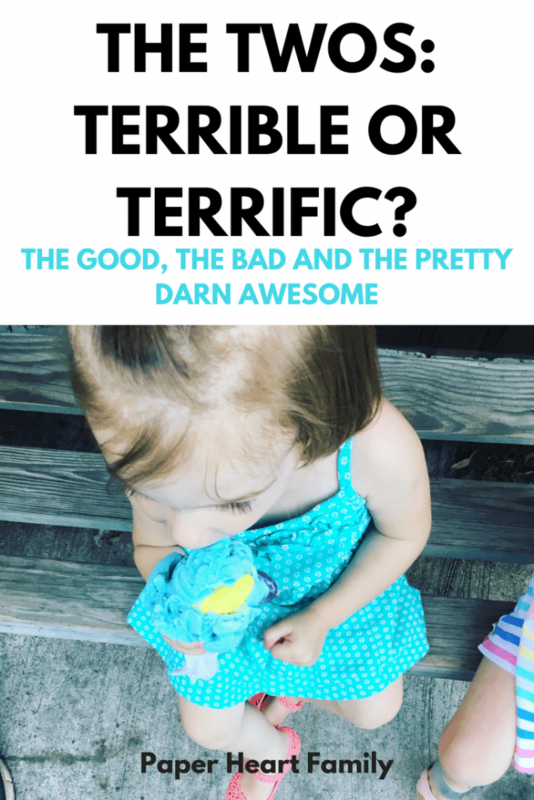 There is nothing sweeter- or saltier, for that matter!- than a toddler living through the terrible twos. Thank goodness they are cute! This is so true. I love my two year old. He can be so sweet and he is growing so fast. But he does drive me crazy so much of the time. Thanks for the post! I’m so glad you liked it! 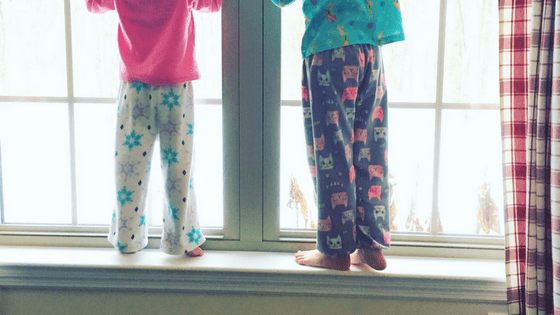 My motivation for writing the post was to help moms see the positive side of toddlers, because sometimes it’s hard to remember that when they are so draining!